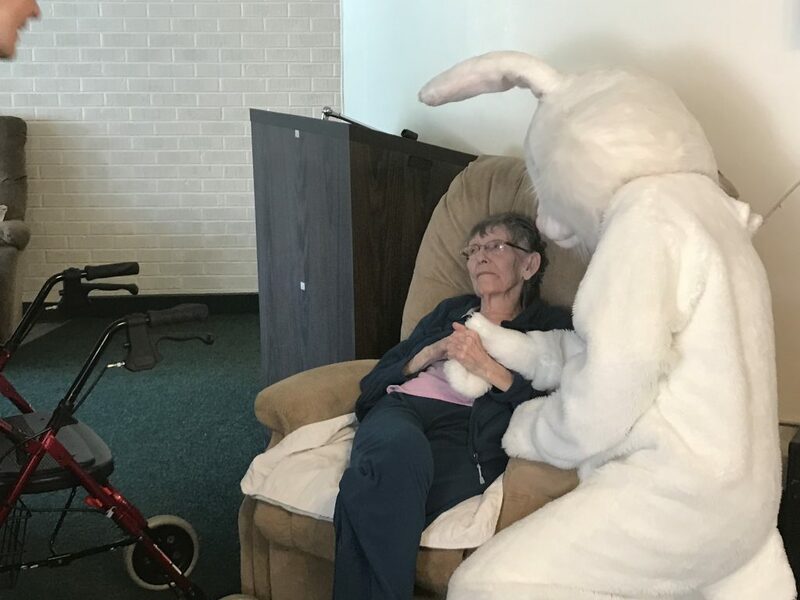 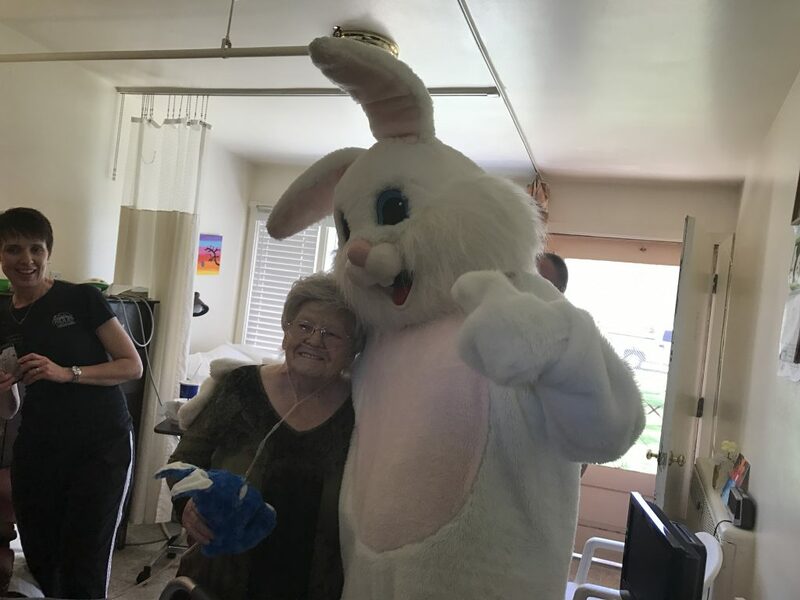 CEDAR CITY – Care centers throughout Iron County had a special treat Wednesday when the Easter Bunny showed up to surprise patients with gifts, hugs and smiles. 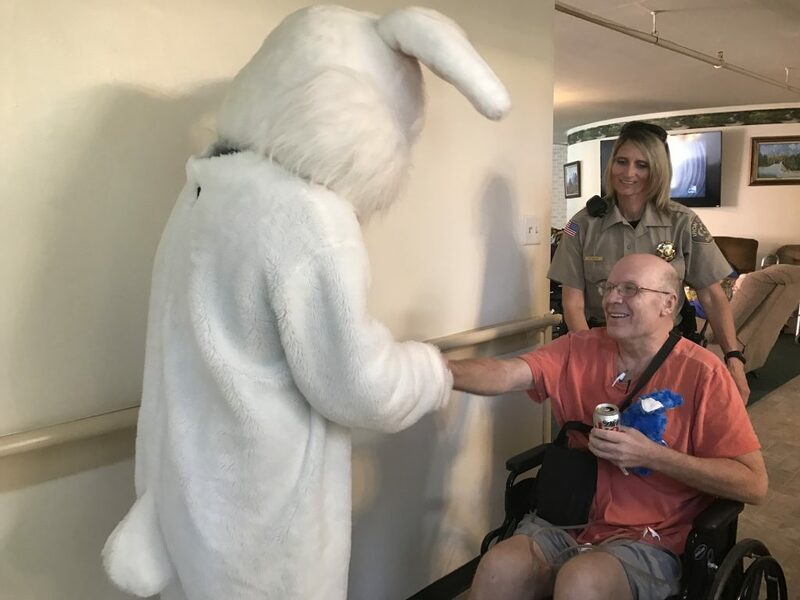 Up until four years ago the Iron County Sheriff’s Office brought the Easter Bunny to then Valley View Medical Center to visit patients. 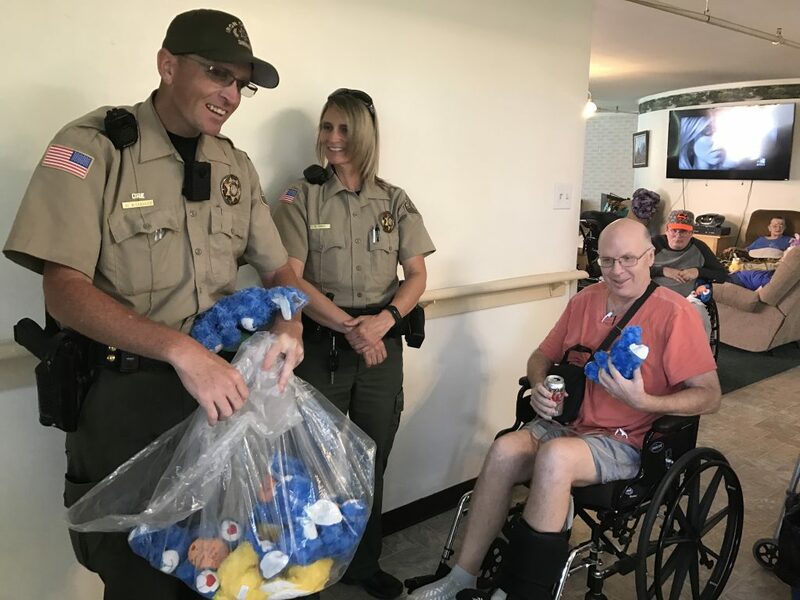 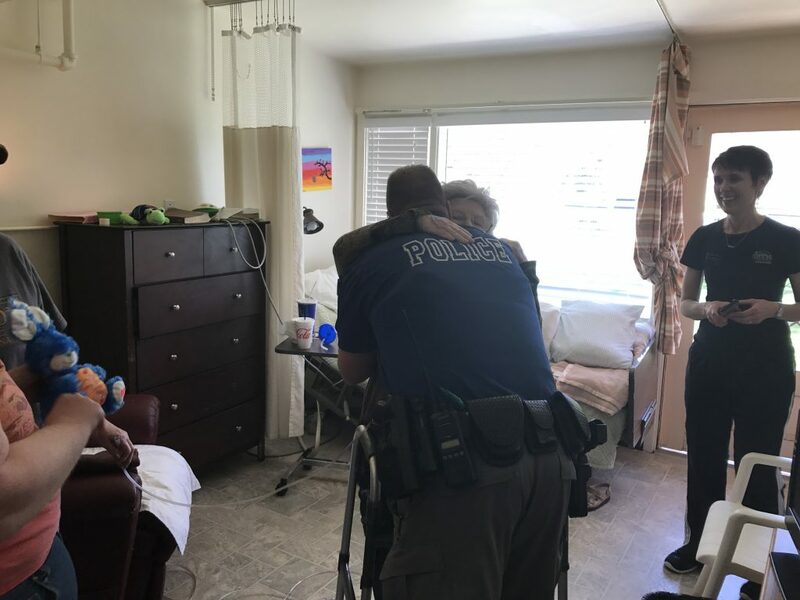 But in 2014, deputies decided to do something a little different and instead went to every care center in the county. 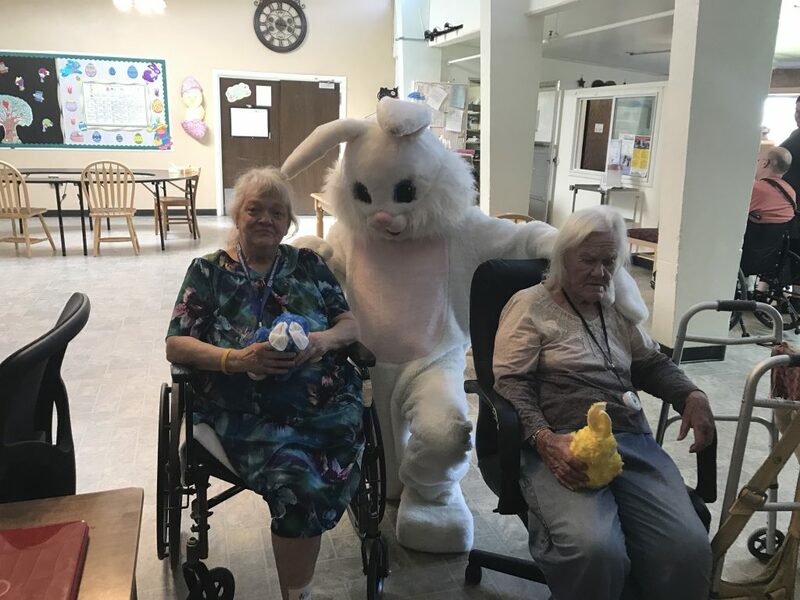 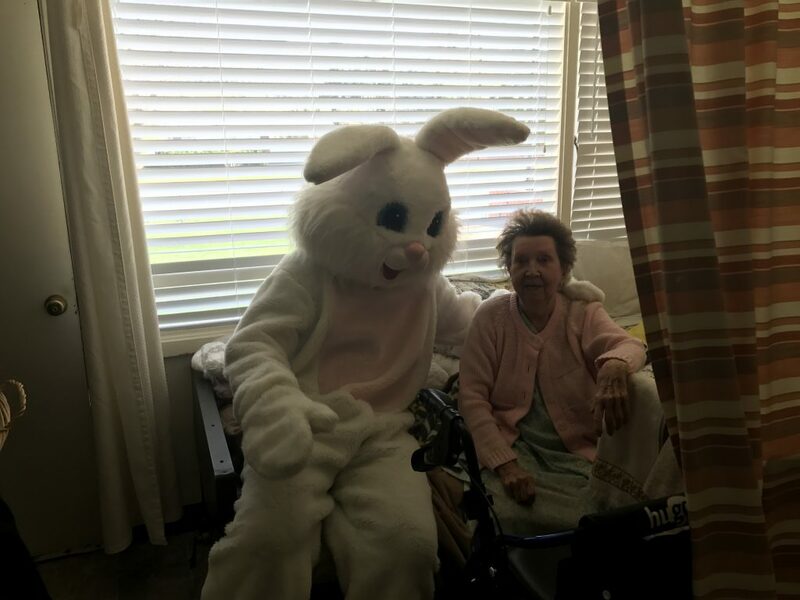 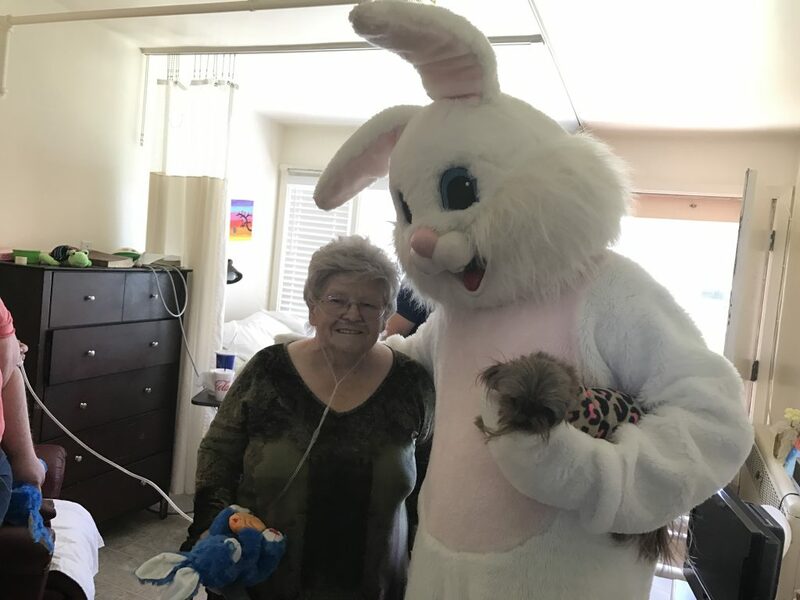 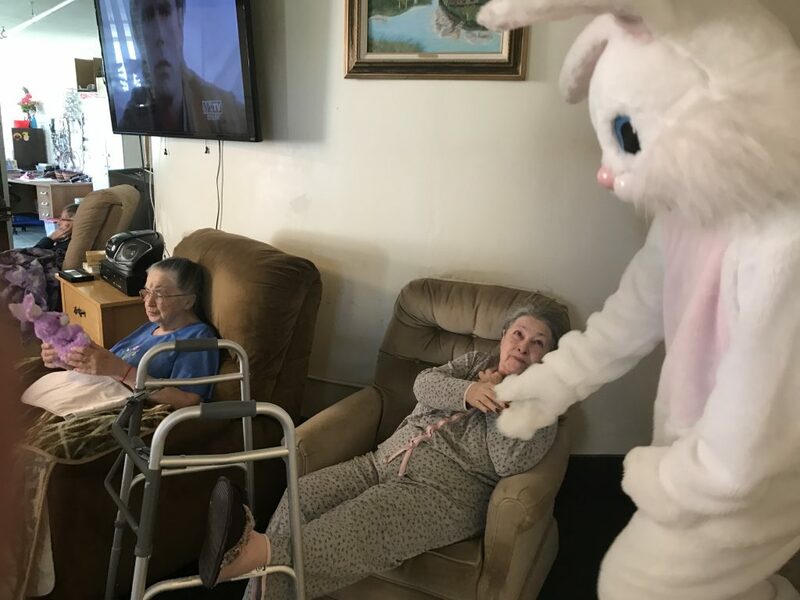 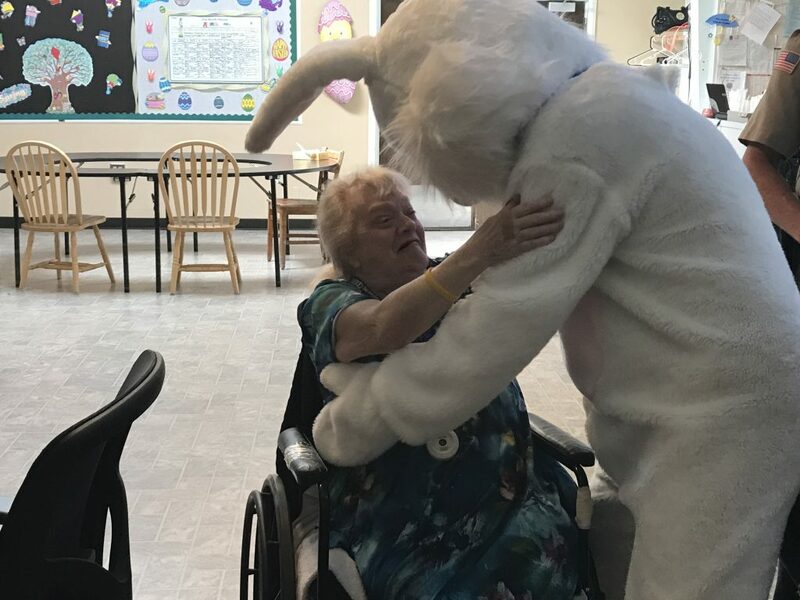 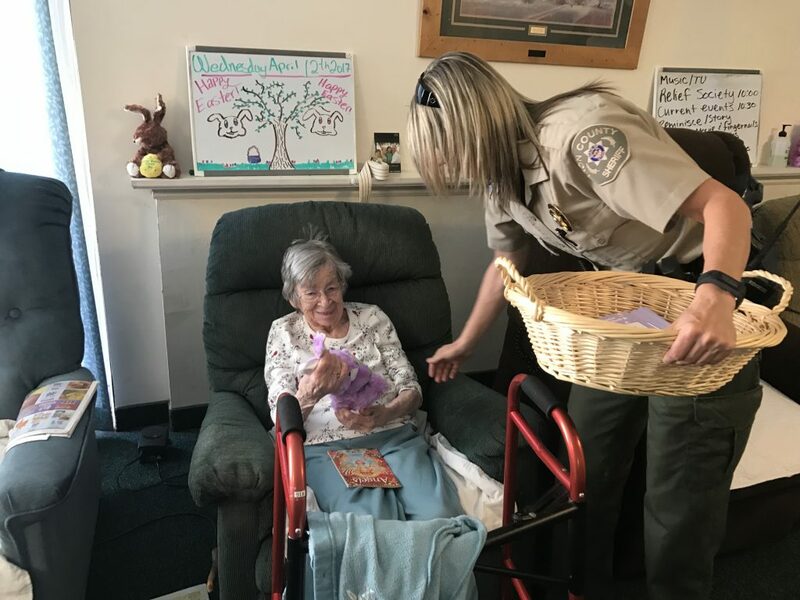 Wednesday was no different with the Easter Bunny hopping down the bunny trail to visit Brookdale Cedar City, Kolob Regional Care and Rehab, two locations of Beehive Homes, all in Cedar City, as well as Iron County Nursing Home in Parowan. 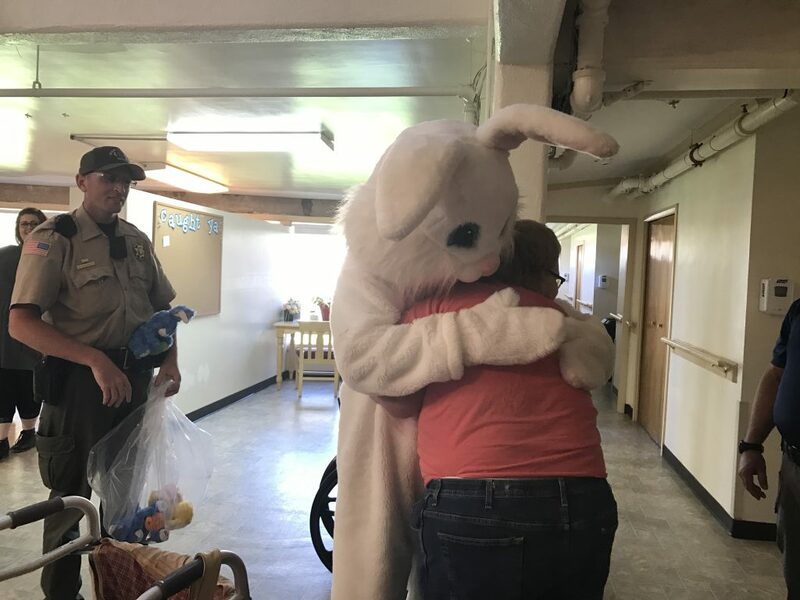 The program is sponsored by the Easter Bunny Foundation, a nonprofit organization set up in 33 states. 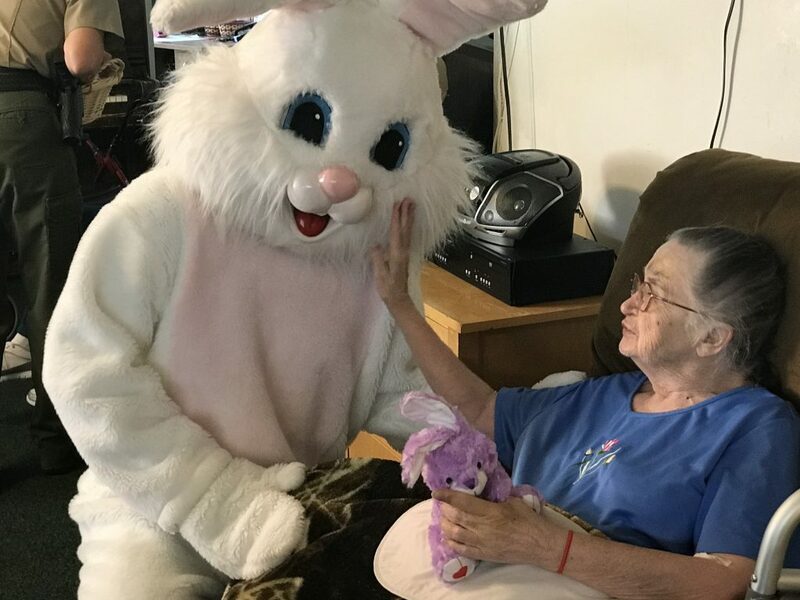 The mission of the foundation is to provide children, the sick and elderly across the U.S. with a personal visit and a toy or stuffed animal from the Easter Bunny during the week of Easter. 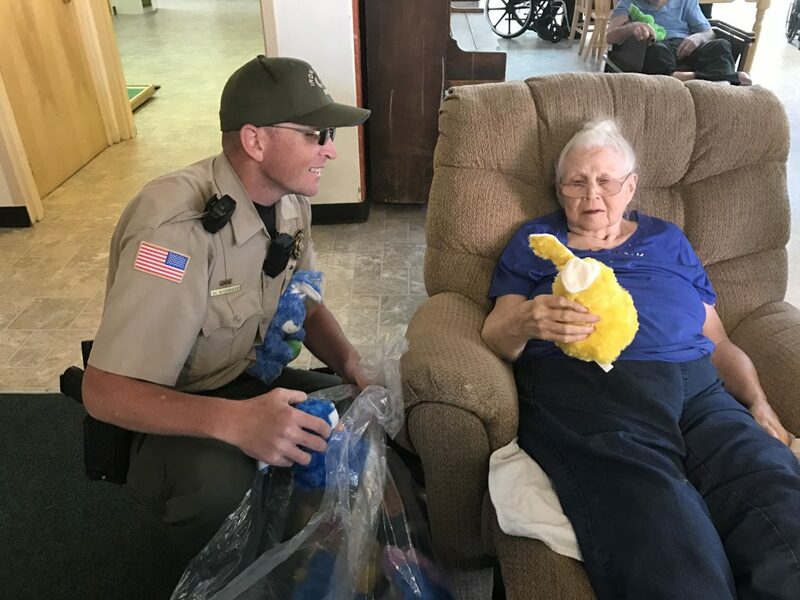 ICSO is one of 92 sheriff’s offices and four police departments participating in the program. 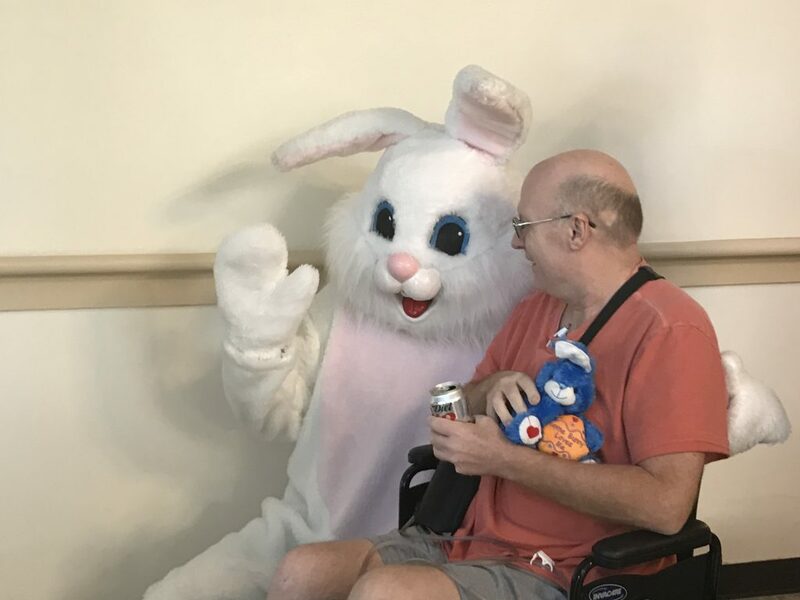 Schlosser started the program 11 years ago and since then has played the bunny every year except one when he was undergoing surgery. 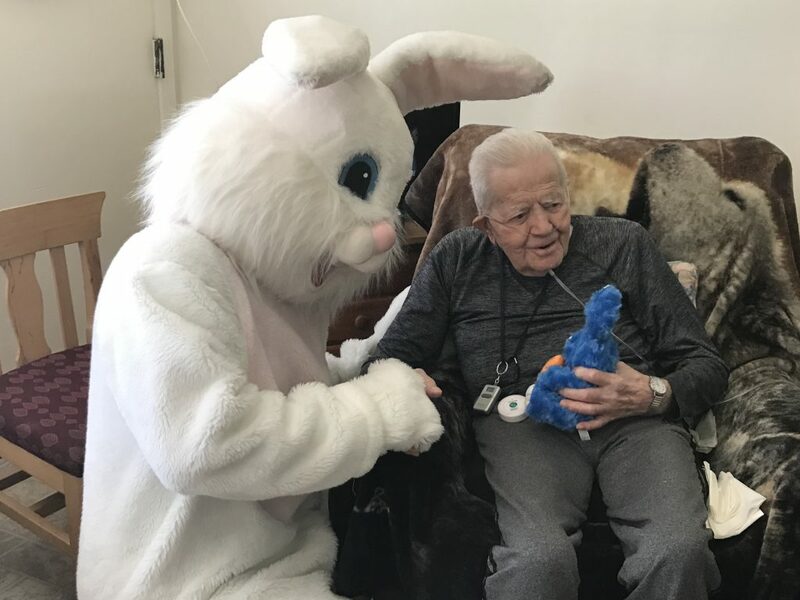 Still, he said it never gets old. 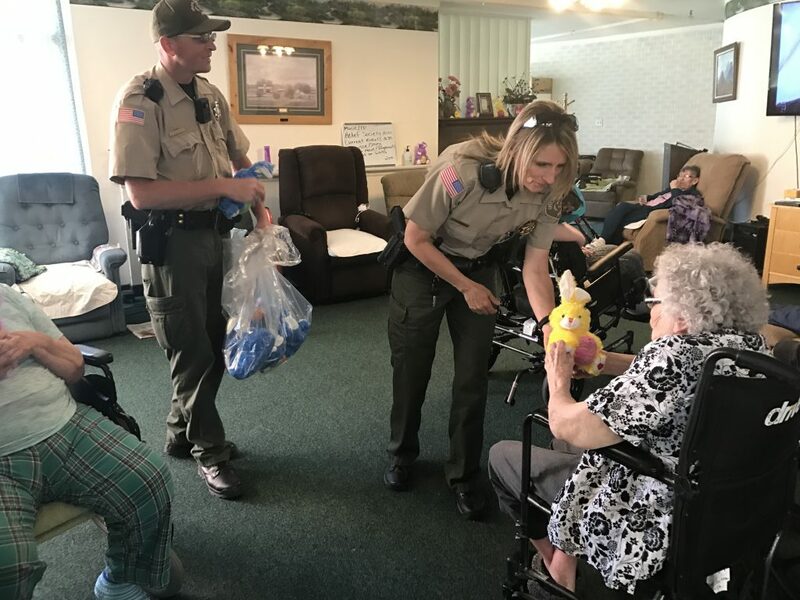 The annual service project wouldn’t happen if it wasn’t for a team effort that always includes sheriff’s secretary Melissa Montiano, Schlosser said. 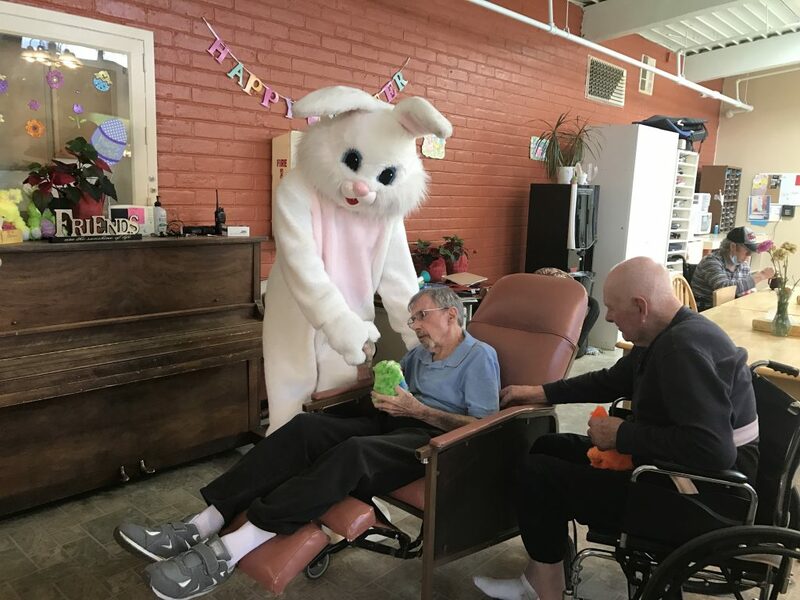 Never too old for a visit from the Easter bunny…nice story.